Google has released a new version of Google Maps for Apple’s iPhone and for their own Android OS, the updates bring a new design to Google Maps and more. The new Google Maps apps get Google’s material design with ‘surfaces and shadows that echo the real world’, the apps also come with a range of new features. Bold colors and textures are in—and Google Maps is on trend, with a slick new style to make traveling with Maps even easier. Over the next few days, when you open up Google Maps on your Android or iPhone, you’ll be greeted by bright colors and a fresh new design. 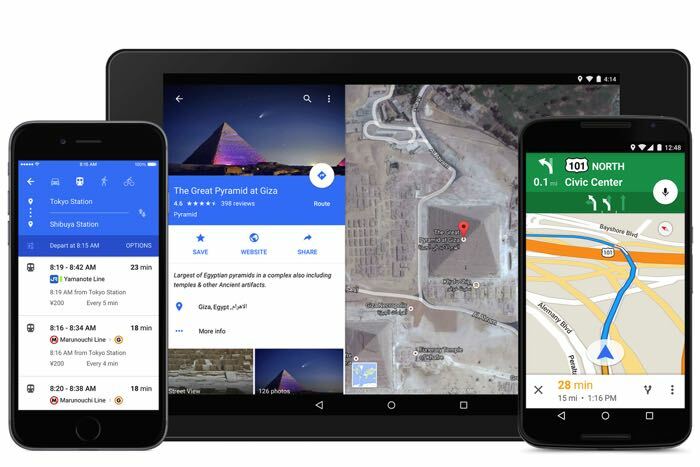 This new look is all about creating surfaces and shadows that echo the real world; with Google Maps’ new material feel, layers and buttons come to life so you know just where to touch to get directions, recommendations and imagery. You can find out more details about the new versions of Google Maps over at Google at the link below, the apps are available now from iTunes and the Google Play Store.